Secondary Armament 1 x .50 cak M2HB Heavy Machine Gun. 1 x .30 cal M1919A4 Machine Guns (Bow). Armour Upper Hull Front: 100mm. Notes The M46 was designed to replace the M26 as the main US battle tank. 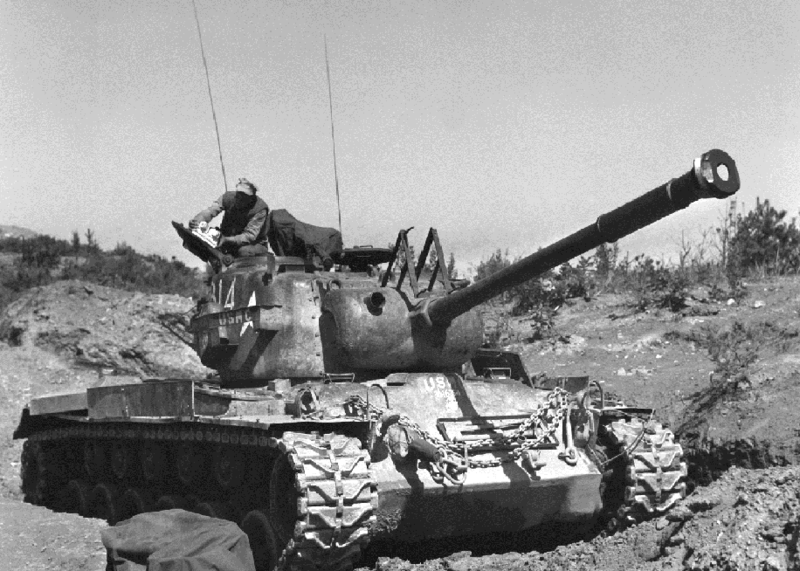 The M26 and M46 were technically the same tank except the M46 had a larger engine, better transmission and different exhausts. The M46 fought alongside the M26 in the Korean War, supplemented by around 680 M4s and 138 M24s and they proved more than a match for the North Korean T-34/85s.